It was the fall of 2012 and we were looking for a fundraising event for our MOWC Foundation which promoted physical activity & health and wellness while supporting a charity. 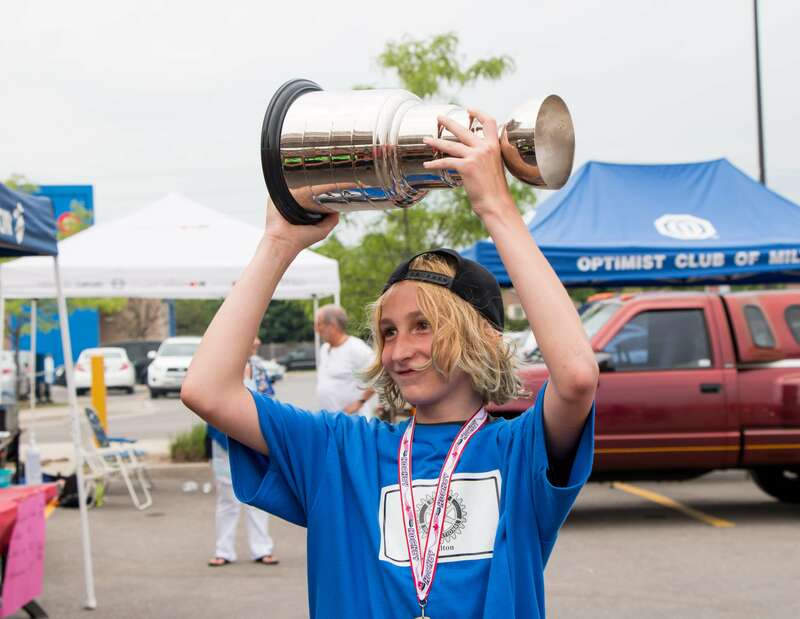 Ball hockey is a passion of ours but how could we make it different? Most people play ball hockey in arenas indoors. We rarely see anyone play ball hockey outside the way we did when we were kids. One fall afternoon, gazing onto our clinic’s parking lot a vision came. “Ball Hockey in a parking lot in the middle of a plaza that we take over. Now that’s different!” And that’s where it all began. A seed was planted. The idea was a good one but how do we get there? There would be so many moving parts. I first met up with Rod McLachlan, a friend and past president of the Rotary Club of Milton. The idea was shared and we started planning immediately. We had a lot of great ideas but weren’t sure how we would execute them. Next step was to form an organizing committee of volunteers from our community. We approached Leigh Theriault, Dan O’Neill, Heather Gerrits, Ries Boers, Franco Naccarato, Enzo Turco, Arturo Figliomeni Joe Taurasi and Seth Ferguson. Ries told me that “I will hear what you have to say but my time is limited and will decide after our first meeting if I want to be a part of this.” Needless to say Ries has been part of this event since inception and we wouldn’t have it any other way. At our first meeting in February of 2013 we sat around my office and dreamed a little dream. We were kids in a candy store planning something that we grew up as kids playing. What did we want to see? 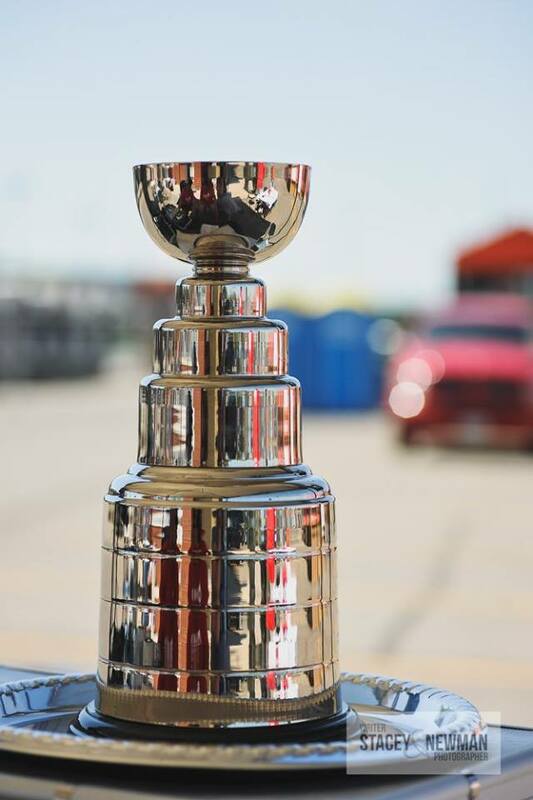 “Let’s have a Stanley Cup with your name engraved on it.” The excitement was glowing in our eyes as ideas started to flow. Who do we support? Heather Gerrits replied ROCK, kid’s mental health. At that point no one even heard of ROCK. We decided to look into ROCK and decide if this was truly the charity we wanted to support. After meeting with ROCK we knew that this was the charity which needed our support. They were clearly underfunded and yes even though they received some government funding like the Milton Hospital, it wasn’t enough. That’s when the idea of Kids supporting Kids came to fruition. 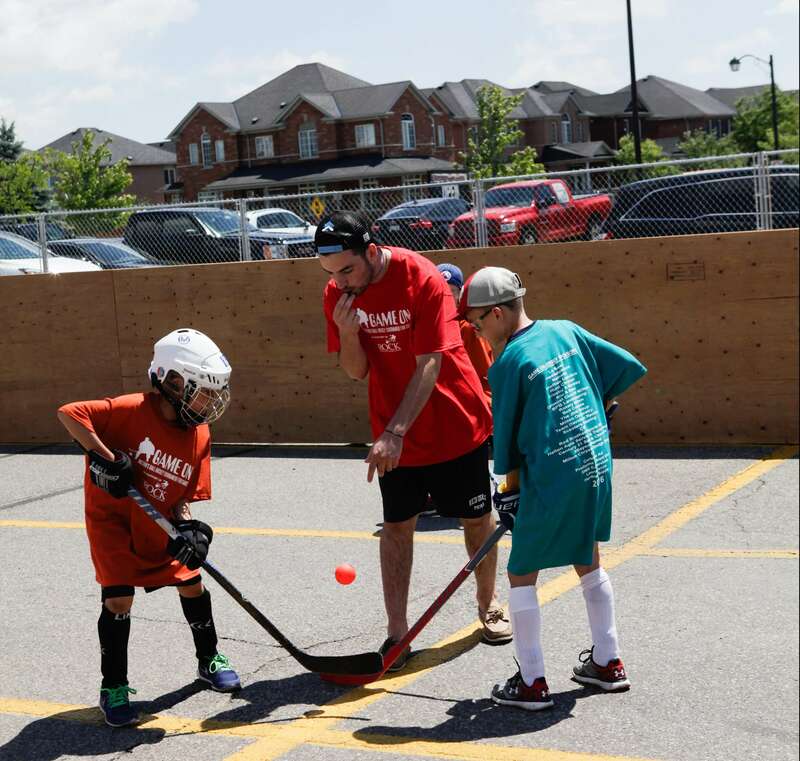 Kid’s playing ball hockey in support of their peers. We now had our charity of choice. How were we going to put this together? Do we fence in an area or have a rink moved over temporarily to our location? How would we do this? That’s when we decided to build our own rinks and we came up with a master plan. We asked Home Depot for support with the materials and they were nothing short of excellent. They donated all of the material we needed to build 2 rinks and also donated the use of their parking lot. We wanted our event to include all kids and not leave anyone out. 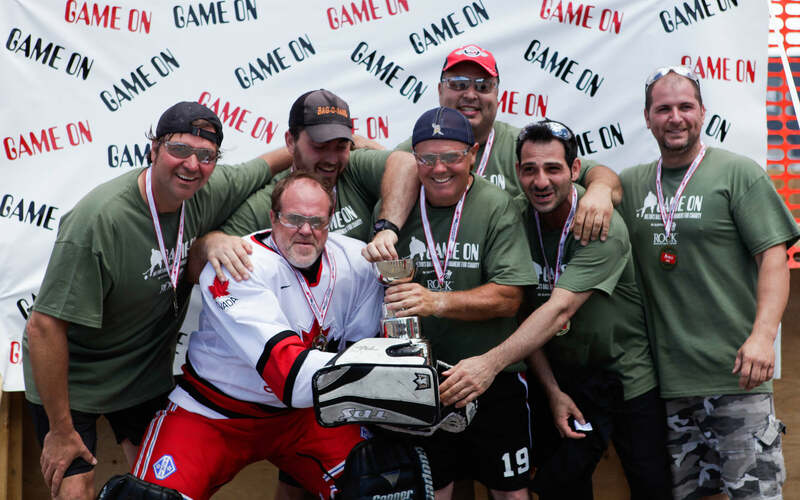 Hence we came up with the $10 entry fee where participants would receive a team t-shirt, participant medal, bbq lunch and their name on the Stanley Cup if they win it all! All of the funds raised would be via sponsorship. Our 1st event was a memorable one. We raised just under $10,000 and everyone had fun. Watching the kids supporting their peers and plying for kid’s mental health was awesome. Our event encourages participation and physical activity, community engagement via volunteering and service groups and business sponsorships. The overall success of the event relies on all 3 moving parts. In our first 2 years it was very labour intensive as well as planning and organizing. All of our Game On rink material was stored off site. The week of Game On consisted of picking up the rink material, setting up the fences and closing down the parking lot, and building the rinks. It took one evening and a full day on the day before the event to make it all happen. We knew to move forward we needed more volunteers for setup and takedown. Then we were contacted by the Carpenters & Allied Workers Local 27. They were willing to help us setup and takedown the rinks. 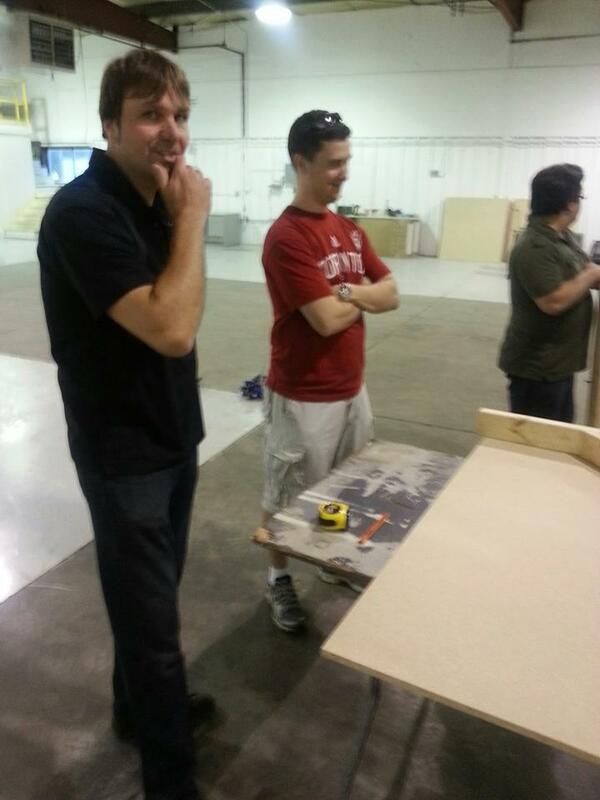 Also SoftChoice donated some of their staff to help with the setup. This was huge for us and we were eternally grateful. The Carpenters & Allied Workers Local 27 loved our setup and they found ways to improve what we started. Over the following 2 years they managed to replace the rinks we had using whatever material they could salvage. They in turn donated many volunteer hours and dollars to make sure what we had would last a good period of time. In 2016 we decided it was time to involve the bigger kids, the adults and extend our event from a 1 day event to a 2 day event. The bigger kids were little kids at heart and it was a huge success expanding our event to another level. As we celebrate our 5 year anniversary of Game On we reflect on what we have accomplished. Game On is larger than us. 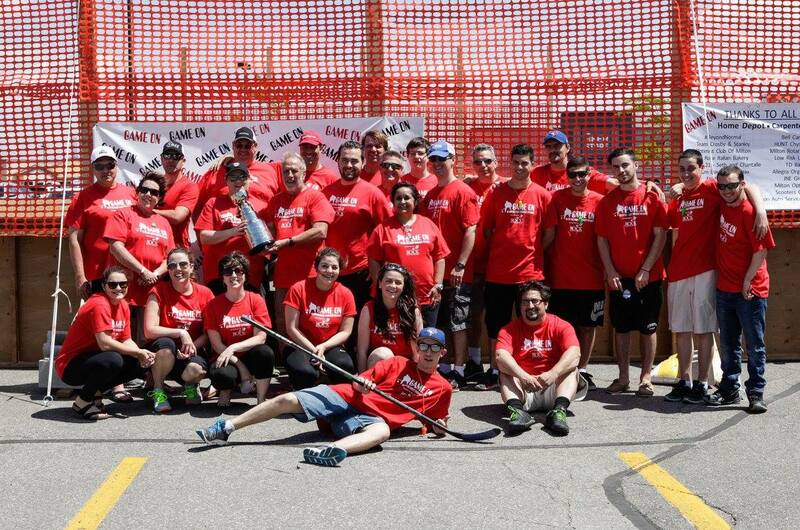 It lives and breathes with passion for outdoor ball hockey while supporting kid’s mental health. Thank you to this year’s organizing committee and to the people that believed in this idea back in 2013. Thank you to all of the volunteers, service groups and businesses that sponsored Game On and believed in what we were doing was making a difference. Thank you to all of my friends and family and especially my wife Enza and my boys Crosby & Stanley for encouraging me to dream and give back to our great community. Game On! Happy 5 Year Anniversary!